Microsoft introduced game gifting on the Xbox One last October, and now the company is expanding the program to include PCs. An update to the Microsoft Store will now allow users to send PC games and PC downloadable game content (e.g. map packs, skins) as gifts. 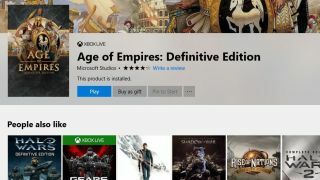 Users can go into the Microsoft Store picking out digital gifts as if buying the games for themselves and use the new ‘Buy as Gift’ option at checkout. From there, you can enter the email address of the gift recipient, who will receive the present as a Microsoft Store code. Along with adding PC games to the game gifting program, all Xbox One games are also now eligible. Previously, the game gifting program exempted select Xbox One Play Anywhere titles. Unfortunately, Xbox 360 and original Xbox games still can’t be sent as presents.